Have you been banned from Elftown and sent to stay here in Elfpack? Do you want to complain about being unfairly banned from Elftown and hopefully get the ban removed? 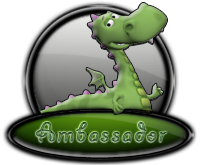 Here we present to you the Ambassadore exilios, where you can voice your pain, critiques, wishes and complaints! This is not the page to talk about bannings and problems on Elfpack! Talk to the Guards about that. If you have been banned from Elftown and you believe it was an unfair ban, then send a private message to Malevolent [Stephen] that says, "I've been banned from Elfltown. My username on Elftown is <insert username here>, please help me." If you do that, then he will look into the matter. Do not leave a message about it on the Guards page, or this wiki's comment box. Disclaimer: The [Stephen] cannot work magic. He can, however, speak on your behalf and give you advice. If you were legitimately banned from Elftown for breaking rules, then don’t expect him to just magically make [Hedda] listen to him. 2006-12-30 [Larova]: You laugh, but they're a lot of fun. 2013-01-29 [Stephen]: Oooh well, think of it for comic purposes. 2013-02-01 [sammie h! ]: Oops sorry, ahh, it gives your fingers exercise lol.